Dark foods, colored beverages, aging, environmental factors, and medications can all contribute to changes in the color of your teeth. With teeth whitening, these effects can be counteracted. 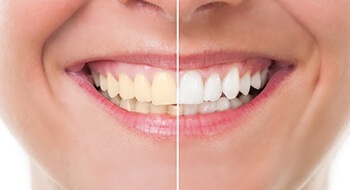 We can offer in-office teeth whitening with Zoom! Whitening, which has become one of the most popular and well-known methods available today. With Zoom! Whitening, you simply come into the office, lie back, and let the special whitening light do its job: intensifying the results produced by the whitening gel. In just about one hour or so, you can see a very real change in your smile. Is it possible to get incredible, professional-grade teeth whitening results in only 20 minutes? With the Sinsational Smile teeth whitening system at Cosmetic & Family Dentistry of Weatherford, it sure is! 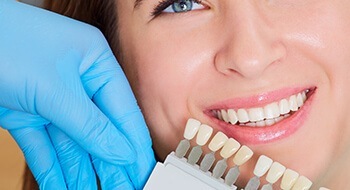 Even dental care professionals who have offered smile brightening treatments for years are amazed at how quick and effective Sinsational Smile can be. Now you can achieve the lustrous, beautifully white teeth you’ve always wanted in less time than ever before.